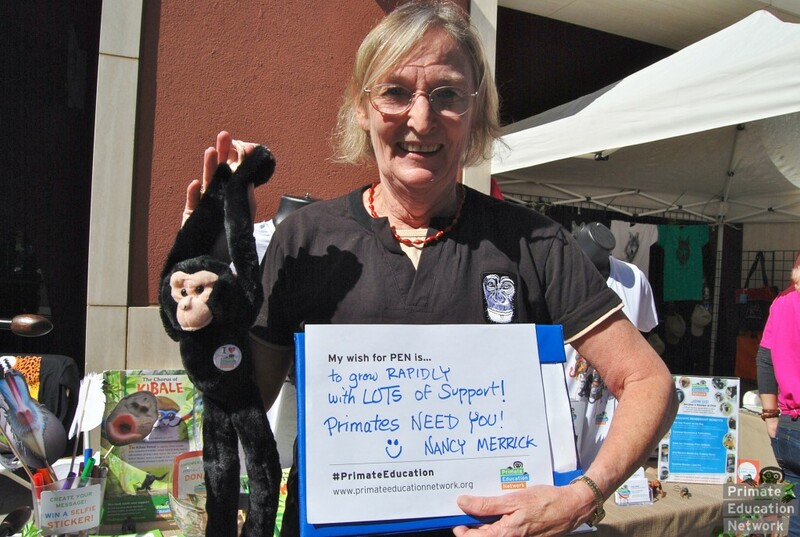 Home › Primate Education Network › Create Your Selfie with PEN’s 12 Message Downloads in English, Spanish, & Portuguese! 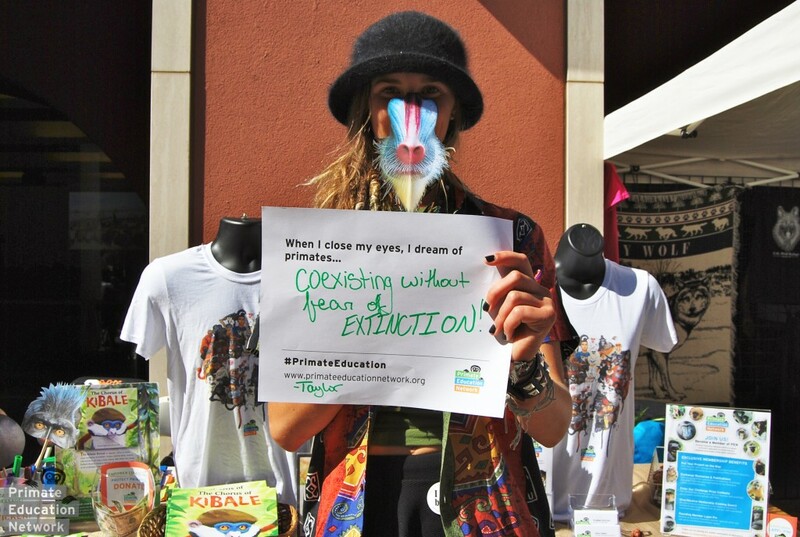 PEN recently participated in the Wildlife Conservation Expo in San Francisco, California. 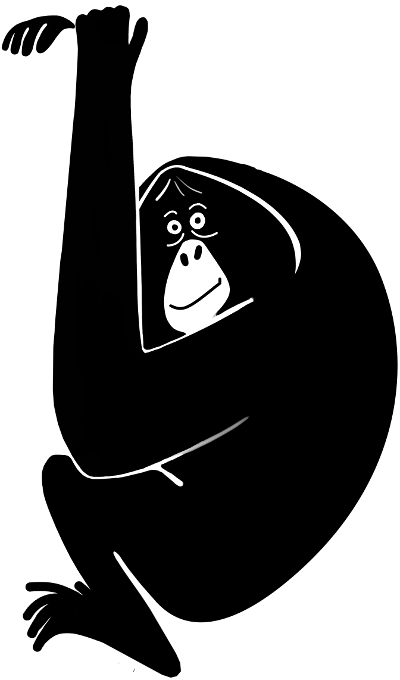 At our table, we sold exclusive Peace, Love, & Primates merchandise and hosted a photo booth! 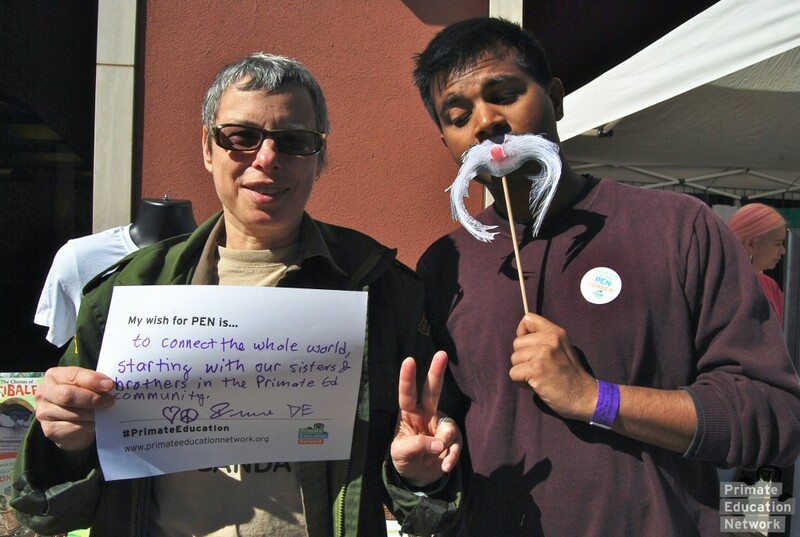 Our supporters enjoyed sharing their selfie messages and using our primate photo props, including an emperor tamarin tongue and mustache, mandrill nose, bonobo lips, siamang throat sac, and orangutan mouth filled with mangoes! Continue reading to view photos from PEN's photo booth at the Expo and download our 12 selfie messages! they received an “I TOOK A SELFIE AT THE PEN BOOTH” sticker! Download all of PEN's 12 selfie message templates in English, Spanish, and Portuguese. Send us an e-mail, post on our Facebook wall, or tweet us on Twitter with your selfie messages! 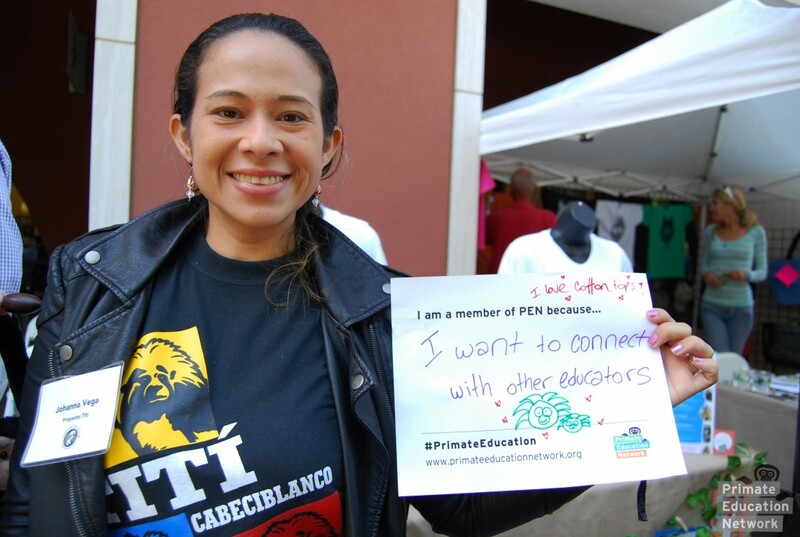 Thank you for your support and sharing your messages with PEN's global community of educators! Looking for more inspiration? View more photos from PEN's photo booth at the Wildlife Conservation Expo below!